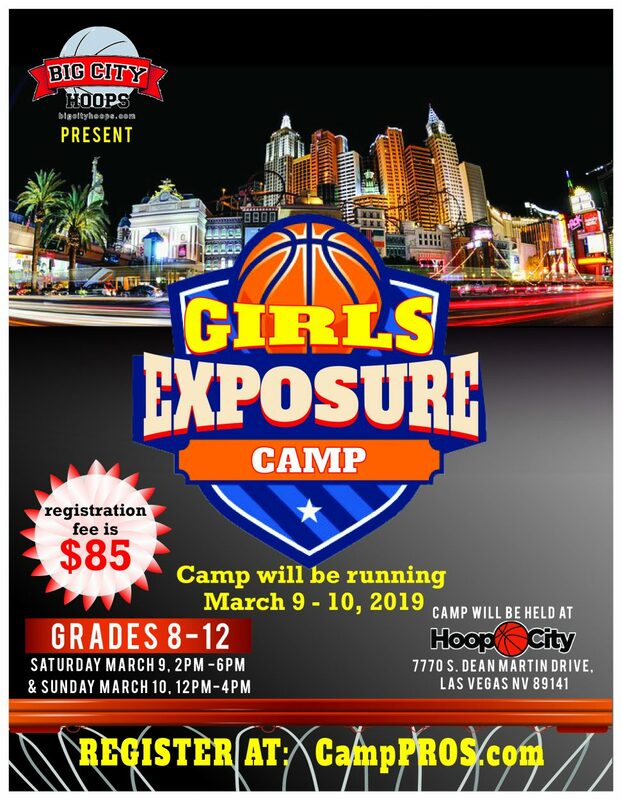 Big City Hoops will be conducting an exposure camp on March 9-10, 2019 at Hoop City Gymnasium located at 7770 S. Dean Martin Drive, Las Vegas, Nevada. This two day camp will be an intense and competitive camp, with instruction and drills on the first day and competitive games on the second day. Registration will open for this camp on November 1, 2018 and will be open to the first 100 registrants. If you have any questions or concerns, please feel free to contact Lew Roberts at 619-751-5212.